Material – Made of durable high quality vinyl with a peel and stick self adhesive backing. 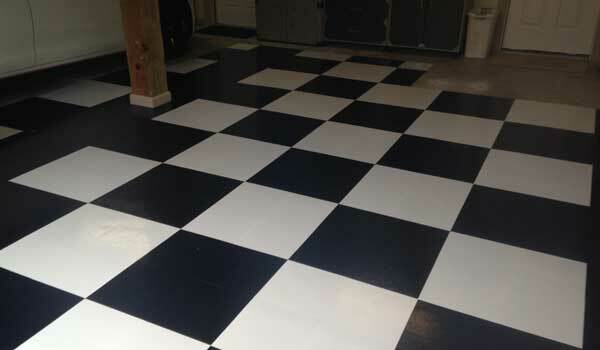 Recommended Uses – Peel and Stick tiles have been used in many spaces due to their modern look. Some areas include home offices, dens, bedrooms, hallways, kitchens, workshops, storage sheds, bathrooms, basements, display rooms, and much more. The recommended temperature range for the proper installation of peel and stick vinyl tiles is 65*F-77*F.
In wall to wall installations, planks can be loose laid and cut into place with a straight edge and a utility knife. Each plank has a self-adhering back that secures each plank to the floor without the need for glue, tape or tacks. If you do experience some movement and would like to ensure that the planks do not slide at all, some double sided carpet tape can be used around the perimeter of the floor and directly under the seams of the planks to prevent any movement. 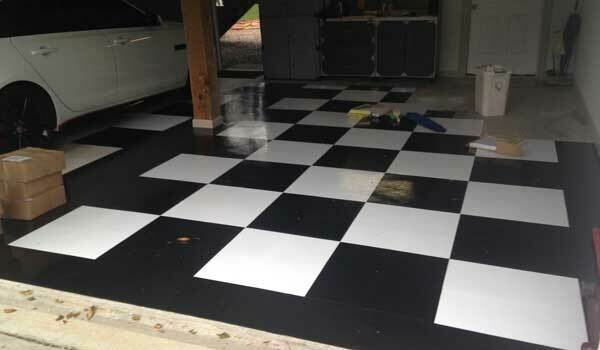 We have had many customers purchase these low cost tiles for use in home garages, although the tiles can experience difficulty in sticking when used in excessively hot or cold environments. White can also be a bit difficult to clean. 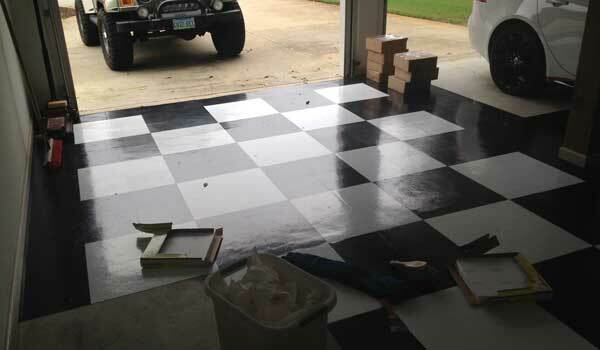 Here are pictures of the flooring being installed and the finished product. Did this one in a 4 by 4 pattern with a black border because it's a big garage. 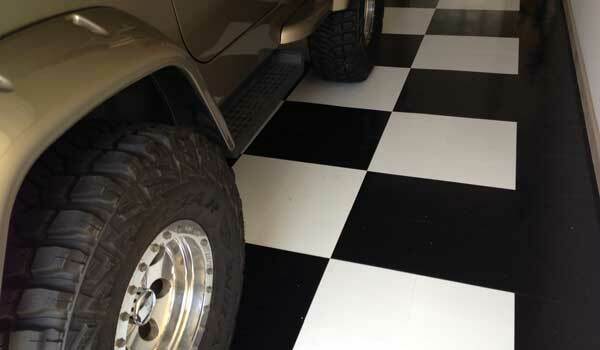 This flooring was so incredibly simple to install, stays looking great even with cars driving all over it and is easy to clean up. Could not be more satisfied. Thanks. I've been dying to do a retro/vintage look in my kitchen, but I'm working on a small budget. I thought these tiles might feel cheap, but they're actually great and people have no idea they're super inexpensive peel & stick flooring. 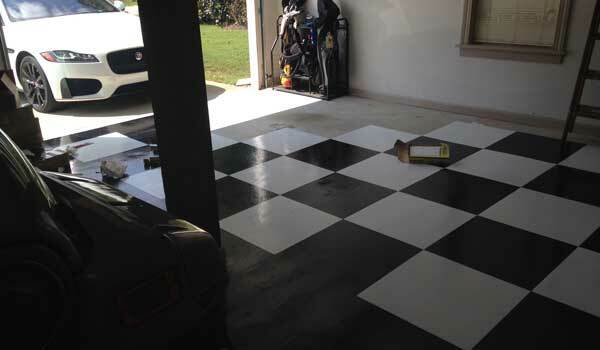 I have that classic black and white checkered look now, and I couldn't be happier.